In late 2003, founder and director of The Ghosts of Ohio, James A. Willis, was approached by Mark Moran and Mark Scuerman from Weird NJ to contribute several stories for a book they were working on. That book, Weird US, was to chronicle local legends from all across the United States. One of the stories Mark and Mark were interested in was Willis' debunking of the legends of Hell Town. In 2004, Weird US, complete with the Hell Town story, was released and became an instant hit. 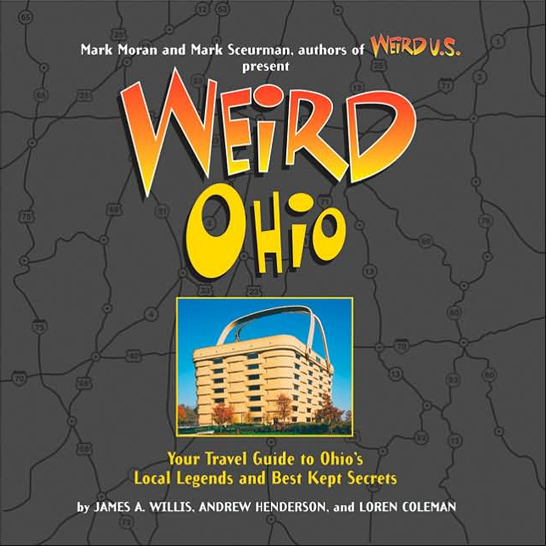 2005 brought more weirdness with Weird Ohio, which Willis co-authored with Andrew Henderson and Loren Coleman. For the book, which featured a collection of spooky, strange, and just-plain-weird sites, Willis traveled across the entire state, covering everything from headless motorcycle ghosts and crybaby bridges to the world's largest cuckoo clock and buildings covered in gum. Willis’ weirdness continued with the release of Weird Hauntings in 2006 and showed no signs of stopping. To date, Willis has authored, co-authored, or been a contributing author to over a dozen books on all things strange and spooky. But Willis has not let the weirdness go to his head and his true passion remains ghosts, specifically ones that hail from Ohio. To buy a copy of Weird Ohio, visit barnesandnoble.com, amazon.com, or any Barnes & Noble retail store. Copies of all the other "Weird" books are also available for purchase there.